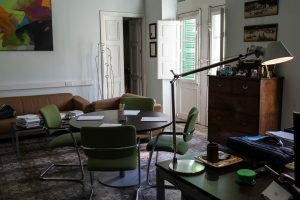 Our offices are situated in the heart of the capital of Malta, Valletta, a UNESCO World Heritage Site which owes its existence to the Knights of St John. The city is named for Grand Master Jean Parisot de Valette who, after succeeding in defending the island from an Ottoman invasion in 1565, took the initiative to build a fortress city on the Sceberras peninsula. 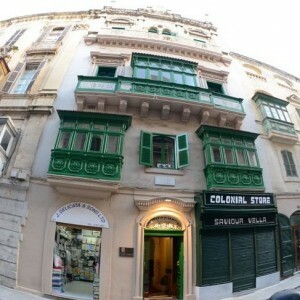 St Paul Street (in Maltese Triq San Pawl or, colloquially, Strada San Paolo) takes its name from the Collegiate church of St Paul Shipwreck, one of the most important churches in Valletta. The church boasts a magnificent altar-piece of the shipwreck by Matteo Perez d’Aleccio, paintings by Attilio Palombi and works of some of the best Maltese artists like Francesco Zahra, Giuseppe Cali’ and Emvin Cremona. St Paul Street is also famous for the traditional procession with the statue of St Paul (carved in wood in the 17th century by Maltese sculptor Melchiorre Gafa’) which is carried through the principal streets of Valletta every 10 February. Our offices can be found on the third floor of a large palazzo erected, the architecture suggests, in the 17th century. The palazzo was occupied as a place of residence for about two centuries and, as a casa-bottega (a tenement used both for residential and commercial purposes), by Chev. Antonio Theuma who carried out his business as a general government contractor and importer from the premises. Other important landmarks in St Paul Street include the offices of the European Commission and the European Parliament, the Valletta Campus of the University of Malta (housed in the Old University Building dating back to the founding of the university in 1592) and Progress Press, one of Malta’s oldest newspaper publishing houses. The offices are also walking distance from the main institutions of the country.